The Nickle Coin Collection is one of the most important numismatic collections in Canada, containing over 20,000 items. It is a rich teaching and research resource, providing for the interest and enjoyment of the University and the community as a whole. The Nickle Coin Collection is one of the most important numismatic collections in Canada. It is a rich teaching and research resource, providing for the interest and enjoyment of the University and the community as a whole. Carl O. Nickle was born in Winnipeg in 1914, and came to Calgary with his parents, Sam and Olga Nickle as boy. The family was far from wealthy. In 1937, with sixty-five dollars in capital, Carl launched a newsletter, Nickle's Daily Oil Bulletin. In 1948 Carl began a second publication, Oil in Canada. Carl was elected to the House of Commons as a Progressive Conservative member in a 1951 by-election, and was re-elected in 1953, retiring in 1957. He formed his own oil and gas company, Conventures, and served on the boards of directors of many companies in Canada and the U.S. Carl's first love was numismatics and he created a major collection of ancient coins. In 1970 he donated the main part of the collection to The Nickle Arts Museum. 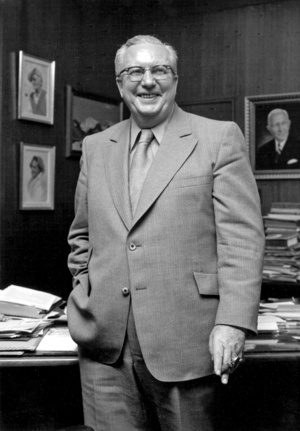 In 1955 he established The Nickle Foundation, and in 1971, merged that foundation with one his Father, Sam, had founded to create The Nickle Family Foundation. In 1979, Carl Nickle – like his father before him – was awarded an honorary doctorate by the University of Calgary, in recognition of his great contributions to the Calgary and University communities. Dr. Carl Nickle died in December 1990. Samuel C. Nickle was born in 1889 in Philadelphia. The family soon moved to Winnipeg. Shortly after Sam and Olga Simonson, a concert violinist, were married, Sam saw First World War service in the United States Coast Guard. Rejoining the family in Calgary, he entered the shoe business with his father, operating The Nickle Boot Shops. Later Sam established his own store, the Slipper Shop on 8th Avenue. In the 1920's, he first caught the "oil bug", investing in oil exploration in the Turner Valley and Athabasca areas. A few years later, Sam Nickle decided to devote his career to oil exploration. Using his Turner Valley leases as collateral, he formed Northend Petroleums. In 1944 he founded Anglo American Oils and ventured into oil exploration in other provinces. Past the age at which most men retire, he continued building and finally merged his businesses into Canadian Gridoil Limited. As he reached his 80th birthday, he decided to donate one million dollars to the university's special building fund for the construction of an arts museum. This amount was matched by the Alberta government. At the University of Calgary's Spring Convocation in 1971, Samuel C. Nickle was awarded an honorary doctorate in recognition of his community service. Shortly afterward he died at the age of 81. The Nickle Arts Museum was the first building at the University of Calgary to be constructed as the result of a private donation.